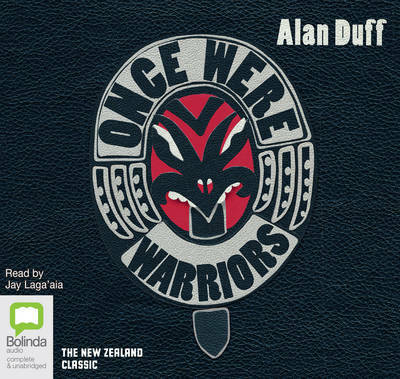 Once Were Warriors is Alan Duff's harrowing vision of his country's indigenous people two hundred years after the English conquest. In prose that is both raw and compelling, it tells the story of Beth Heke, a Maori woman struggling to keep her family from falling apart, despite t... read full description below. 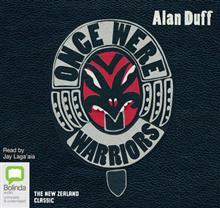 Once Were Warriors is Alan Duff's harrowing vision of his country's indigenous people two hundred years after the English conquest. In prose that is both raw and compelling, it tells the story of Beth Heke, a Maori woman struggling to keep her family from falling apart, despite the squalor and violence of the housing projects in which they live. Conveying both the rich textures of Maori tradition and the wounds left by its absence, Once Were Warriors is a masterpiece of unblinking realism, irresistible energy, and great sorrow. Alan Duff was born in 1950 and lives with his wife and four children in Havelock North, New Zealand. He is best known for his 1990 novel, Once Were Warriors, later made into a critically acclaimed feature film. He has since written two sequels, What Becomes of the Broken Hearted? (1996) and Jake's Long Shadow (2002). He has also written a work of non-fiction; Maori: The Crisis and the Challenge. Jay Laga'aia was born in Auckland, New Zealand and is one of Australasia's most accomplished actors. His television credits include Water Rats, Starstruck, Surprise Surprise and Play School. He has appeared in the films Lord of the Rings: The Fellowship of the Ring and Star Wars Episodes II and III. Jay also has numerous theatre credits including Jesus Christ Superstar, West Side Story, The New Rocky Horror Show and The Lion King.